Mosquito season is upon us, thanks to the usually mild and damp May conditions. Mosquitoes are most active at dawn and dusk in Alberta, so avoid being outdoors at these times, if you can. If you are planning to be outside during those hours of the day, it is recommended to use a bug repellent spray with DEET, or diethyltoluamide. Mosquitoes are most likely to spot you if you’re wearing dark colours, so dress in pale, light shades and wear long pants and long sleeves. Tuck your pant legs into your socks. Some will be lucky enough to have natural pest control set up in their back yards. Tree swallows and barn swallows will eat up to 600 mosquitoes in a day. You may want to consider encouraging nesting if you’re planning to host more than a few summer barbecues. While you can buy multi-purpose sunscreen and insect repellent wrapped into one, it is not recommended. There’s sort of an interference, so both will work but not as well. Instead, apply your sunscreen first, let it dry, and then apply your mosquito repellent. If you’re one of the unlucky few who seems to be getting bitten all the time, take heart. 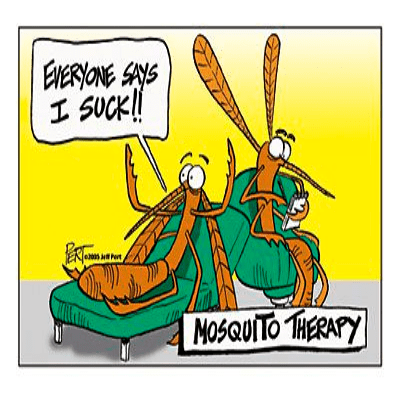 You could benefit from it in the end, The itching and redness that accompanies a mosquito bite is typically the result of an allergic reaction to the saliva of that particular breed of mosquito. The more you’re bitten by that species … you sort of build up an immunity to it.